The last of eight "hallelujah" psalms (111-118), 118 is a hymn of thanksgiving for deliverance from enemies. It presupposes a triumphal procession into the city and the temple of God. Psalm 118 praises God for unfailing love (st. 1) and for deliverance from many enemies (st. 2). In praise to God for bringing victory, the king leads a triumphal entry into God's presence (st. 3); the people celebrate "the day" in which God has set up his corner­stone–the stone the builders had rejected (st. 4). The people praise and joyfully salute the anointed one, "who comes triumphant in God's name." A final call to praise and thank the LORD for unfailing love echoes the psalm's opening statement (st. 5). Psalm 118 closes the "Egyptian Hallel" used in Jewish liturgies for the annual religious festivals prescribed in the Torah. At Passover, Psalms 113 and 114 were sung before the meal; 115 through 118 were sung after the meal. As the last song in that liturgy, 118 may have been the hymn sung by Jesus and his disciples at the end of the Last Supper (Matt. 26:30). Jesus applied verse 22 ("the stone the builders rejected") to himself in Matthew 21:42 and Mark 12:10 (see also Acts 4:11). Stanley Wiersma (PHH 25) versified this psalm in 1982 for the Psalter Hymnal; he took the refrain from verses 1 through 4 and made it the final line of each stanza. Other settings of Psalm 118 are at 179 and 241. Lord’s Day 17, Question and Answer 45 declares that Christ’s resurrection makes us share in Christ’s righteousness, raises us to a new life by his power, and is a sure pledge to us of our resurrection. we praise you for the miracle of Easter. to worship today to celebrate Jesus’ resurrection. and whose lives are filled with pain, loss, or deep sadness. May they sense how the resurrection is a source of great hope. Amen. adapted for other occasions of Easter worship. and to celebrate how all those promises are “Yes” in Jesus Christ, our Lord. we tell the whole story of God’s covenanting love. helping us to share in Christ’s triumph over sin and death. children to recite it as a call to worship. who died but is risen and rules over all. We praise you for his presence with us. made known in Jesus Christ, our Lord. Amen. "Intonatie Psalm 98 (66, 118)" by Willem van Twillert (from Muziek voor de Eredienst, published by Ars Nova , Oranje Nassaulaan 25-1075 AJ Amsterdam). 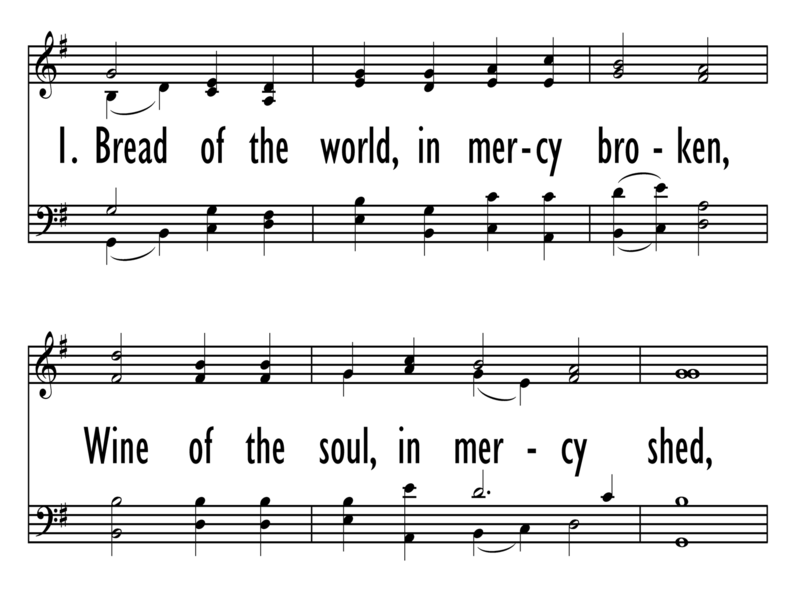 "Bread of the World" by Henry Coleman (from Twenty-four Interludes Based on Communion Hymn Tunes). "Father, We thank Thee" by Richard Peek (from Hymn Preludes for the Church Year). A setting of this psalm composed by Eelco Vos for leadership by a contemporary worship band is available from The Psalm Project (see www.thepsalmproject.com). The last of eight "hallelujah" psalms (111-118), Psalm 118 is a hymn of thanksgiving for deliverance from enemies. It presupposes a triumphal procession into the city and the temple of God. Psalm 118 praises God for unfailing love (st. 1) and for deliverance from many enemies (st. 2). In praise to God for bringing victory, the king leads a triumphal entry into God's presence (st. 3); the people celebrate "the day" in which God has set up his corner­stone–the stone the builders had rejected (st. 4). The people praise and joyfully salute the anointed one, "who comes triumphant in God's name." A final call to praise and thank the LORD for unfailing love echoes the psalm's opening statement (st. 5). Psalm 118 closes the "Egyptian Hallel" used in Jewish liturgies for the annual religious festivals prescribed in the Torah. At Passover, Psalms 113 and 114 were sung before the meal; 115 through 118 were sung after the meal. As the last song in that liturgy, 118 may have been the hymn sung by Jesus and his disciples at the end of the Last Supper (Matt. 26:30). Jesus applied verse 22 ("the stone the builders rejected") to himself in Matthew 21:42 and Mark 12:10 (see also Acts 4:11). Stanley Wiersma versified this psalm in 1982 for the 1987 Psalter Hymnal; he took the refrain from verses 1 through 4 and made it the final line of each stanza. GENEVAN 98/118 was first published in the 1551 Genevan Psalter as a setting for Psalm 118; in the 1562 edition it was also set to Psalm 98 (hence both numbers in the tune name). The tune is also often named RENDEZ A DIEU, the French incipit for Psalm 118. 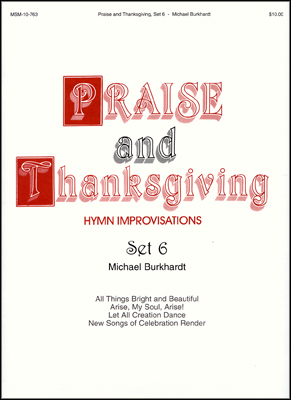 Many modern hymnals set this tune to versifications of Psalm 98 or to other hymn texts. In the 1564 harmonization by Claude Goudimel, the melody was originally placed in the tenor. Stanley Marvin Wiersma (b. Orange City, IA, 1930; d. Amsterdam, the Netherlands, 1986) was a poet and professor of English at Calvin College, Grand Rapids, Michigan, from 1959 until his sudden death in 1986. He attended Calvin as an under­graduate and received a Ph.D. from the University of Wisconsin in 1959. His love for the Genevan psalms is reflected in the two books of poetry for which he is most widely known: Purpaleanie and Other Permutations (1978) and Style and Class (1982), both written under the pseudonym Sietze Buning. He also wrote More Than the Ear Discovers: God in the Plays of Christopher Fry and translated many Dutch poems and hymn texts into English, including the children's hymns published in All Will Be New (1982). The publication event was the largest in publishing history until then; twenty-four printers in Geneva alone, plus presses in Paris, Lyons, and elsewhere produced more than 27,000 copies in the first two years; more than 100,000 copies were available in over thirty editions. The Genevan Psalter was extremely popular, and almost immediately translated into Dutch, Hungarian, and German. Due to the intense persecution of the French Huguenots in the 16th century, the center of activity of the Reformed branch of the Reformation moved away from France and especially to the Netherlands, and from there to Indonesia, South Africa, and North America. The most recent translation (2004) of the entire psalter is into Japanese. The most recent English translation of the entire Genevan Psalter is available with melodies from the Canadian Reformed Book of Praise, available at http://www.canrc.org/?page=23 . The music of Claude Goudimel (b. Besançon, France, c. 1505; d. Lyons, France, 1572) was first published in Paris, and by 1551 he was composing harmonizations for some Genevan psalm tunes—initially for use by both Roman Catholics and Protestants. He became a Calvinist in 1557 while living in the Huguenot community in Metz. When the complete Genevan Psalter with its unison melodies was published in 1562, Goudimel began to compose various polyphonic settings of all the Genevan tunes. He actually composed three complete harmonizations of the Genevan Psalter, usually with the tune in the tenor part: simple hymn-style settings (1564), slightly more complicated harmonizations (1565), and quite elaborate, motet-like settings (1565-1566). The various Goudimel settings became popular throughout Calvinist Europe, both for domestic singing and later for use as organ harmonizations in church. Goudimel was one of the victims of the St. Bartholomew's Day massacre of Huguenots, which oc­curred throughout France.